Native Advertising is defined as “A form of paid media where the ad experience follows the natural form and function of the user experience in which it is placed”. According to an eMarketer report Native Advertising has made a big impact with half of all digital display advertising attributed to Native. 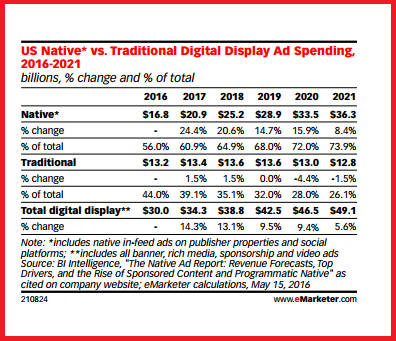 The share of Native advertising is likely to reach to three-quarters of all Display Spending by 2021. 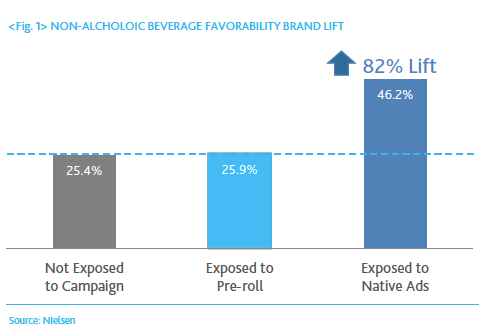 The key reason for rise in Native ads is that all advertising on Facebook and other social sites is native. The huge success of Facebook’s News Feed ads has helped boost native display spending to nearly USD 17 billion this year, according to BI Intelligence. Among the ad formats preferred US millennials preferred native ad formats at 58 percent with banners coming at a distant second at 21 percent. The US Millennials are also agnostic to the native ad formats and don’t care if the content is sponsored by a brand, as long as it is entertaining or informative. Posted in Advertising, Digital. Tagged advertising, Branded Content, Native Ads, Retail. Sharethrough and Nielsen, researched native ads performance using neuroscience techniques to understand how consumers react to Native Advertising. Native Advertising is defined as “A form of paid media where the ad experience follows the natural form and function of the user experience in which it is placed”. 25 percent more consumers viewed in-feed, native ad placements more than standard banners. 97 percent of mobile media buyers report that native ads were very or somewhat effective at achieving branding goals. 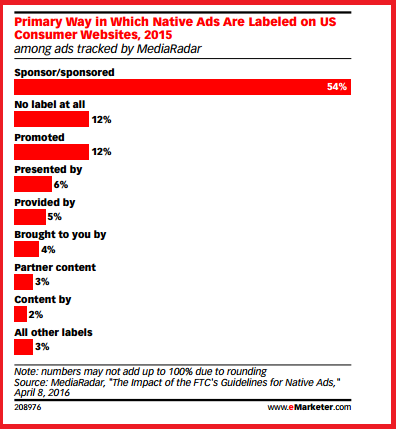 Native ads registered 18 percent higher lift in purchase intent than banner ads. Consumers looked at native ads 2 percent more than editorial content and spent the same number of seconds viewing. To understand the impact of Native Ads, Nielsen showed a video simulating the experience of scrolling through an editorial feed. The feed was paused and the participants were shown either a native ad or an in-feed banner. Using a combination of EEG data— measurements of neural activity in the brain—and eye tracking, Nielsen quantified where and how the participants’ focus was being directed. 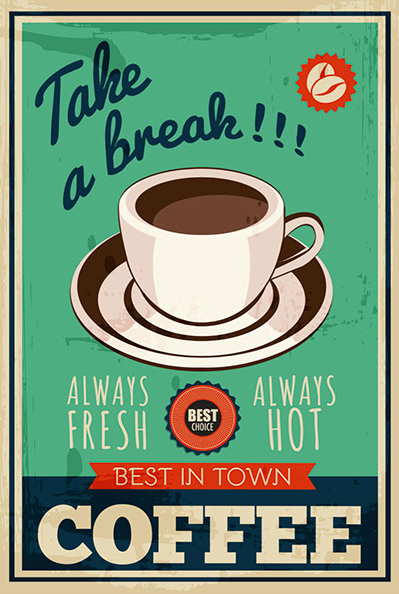 Posted in Advertising, Digital Strategy, Infographics, Insights. Tagged advertising, campaigns, Digital, Native Ads, Native Advertising, Nielsen, Research.